Heart disease is the number one killer of men and women in the world today. It should not be so, because it is largely attributed to poor lifestyle habits. Among these are poor diet, lack of regular exercise, drug or alcohol abuse, and high stress. ​In the 1940s did cases of heart diseases in the United States increase to what have been described as epidemic proportions. The death of President Roosevelt in 1945 urged for more studies about heart diseases, and this eventually lead to the creation of the Framingham Heart Study in 1948. Ten years later came the Seven Countries Study. Both studies lead to recommendations that should have reduced the risk for heart disease. Despite those recommendations are deaths related to heart disease increasing steadily. It is now the number one killer in the world. ​"Heart disease and stroke collectively killed 12·9 million people in 2010, or one in four deaths worldwide, compared with one in five in 1990." - Global Burden of Disease Study 2010. "An estimated 17.5 million people died from cardiovascular diseases in 2012, representing 31% of all global deaths." - World Health Organization. ​The big question is: WHY?? ​"A generation of citizens have grown up since the diet/heart hypothesis was launched as official dogma. They have been misled by the greatest scientific deception in our times: The notion that consumption of animal fat causes heart disease." - George Mann (1985), Sc.D., M.D., professor, nutritional biochemist, Vanderbilt University, Associate Director of the Framingham Heart Study. - University of Minnesota: "History overview". - Framingham Heart Study: Official website. - Seven countries study: Official website. - Global Burden of Disease Study 2010. ​ - World Health Organization: Cardiovascular diseases. ​ - Dr. George Mann: "Coronary heart disease - doing the wrong things." ​Saturated fat raises serum cholesterol. This is the Lipid Hypothesis. 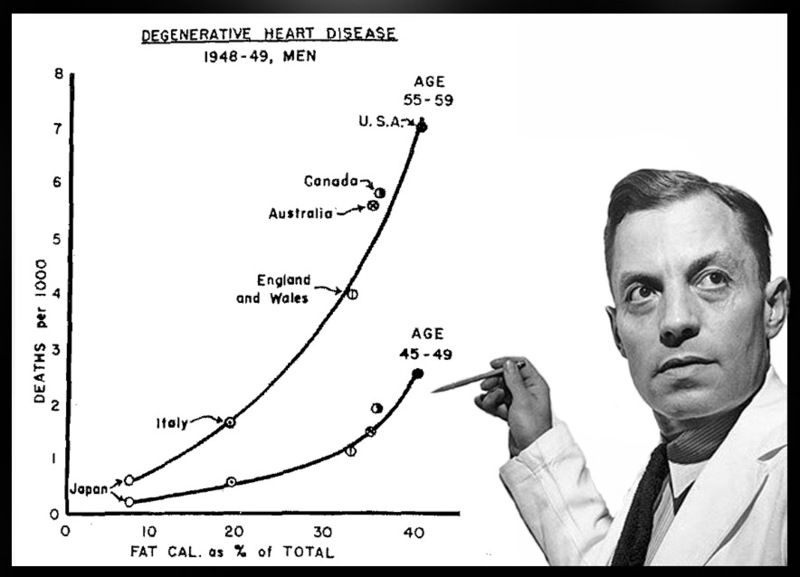 Later did Ancel Keys initiate the Seven Countries Study to support his hypothesis. 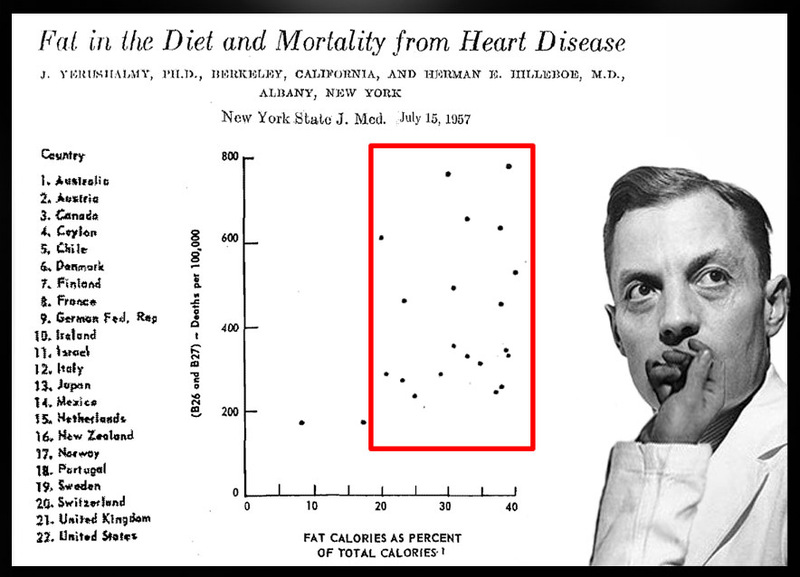 Ancel Keys (1904-2004) and the graph that made him famous. Several scientists disagreed with Ancel Keys (see the chapter below), but he was very persuasive, and he repeated his message so many times that people started to believe him. This included powerful organizations like the American Heart Association and the National Institutes of Health. As a result did national authorities start to warn us against eating butter, red meat, animal fats, eggs and dairy products. Instead did the food industry start to produce low fat products where the fat was replaced by sugar. ​September 2016 did JAMA Internal Medicine publish an article revealing that the sugar industry sponsored a research program in the 1960s and 1970s that successfully cast doubt about the hazards of sucrose while promoting fat as the dietary culprit in CHD. The first cholesterol lowering drug, lovastatin, was introduced in 1987. From then on have doctors advised people with high cholesterol levels to take statin drugs to lower their cholesterol levels. This practice is still widely accepted. ​ - Wikipedia: Seven countries study. - JAMA Internal Medicine September 12, 2016: "Sugar Industry and Coronary Heart Disease Research". ​In 1957 did Jacob Yerushalmy and Herman E. Hilleboe point out that Keys had cherry picked seven out of 22 countries for which data were available. They called Keys' work a "tenuous association." Analysis of the full dataset made the analysis between fat intake and heart disease less clear, because 20 of the countries show no correlation between fat intake and heart disease. Oops! What have you done, doctor Keys? 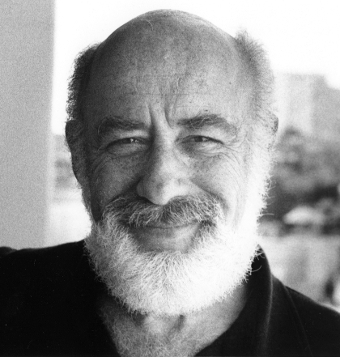 ​In 1977 did professor and Associate Director of the Framingham Heart Study, George V. Mann, dismiss Keys' work as "naive". 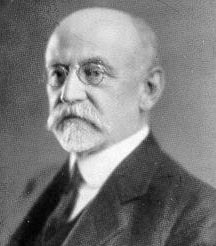 Mann had studied the diet of Alaskan Eskimos, Congolese pygmies, and the Masais of Tanzania and Kenya. They have a high intake of animal fats, but cases of heart disease are almost non-existent. 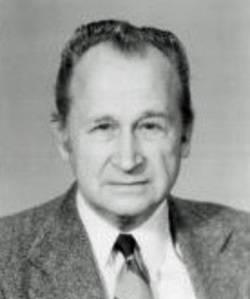 Doctor Edward H. Ahrens Jr. (1915-2000) was a central figure in lipid research and was co-founder of Journal of Lipid Research. He refused to endorse claims that changing our diets by lowering cholesterol intake would be the sole and most effective weapon to win the battle against heart disease. Video explaining why the Lipid Hypothesis was flawed. Dr. John Gofman is called the "Father of Clinical Lipidology". He lead a team that discovered and described three major classes of plasma lipoproteins (VLDL, LDL and HDL) which are molecules that carry cholesterol and triglycerides in the blood, and their roles in metabolic disorders and coronary disease. Gofman discovered that the amount of LDL can be elevated by consumption of saturated fats. He also discovered that VLDL is elevated by consumption of carbohydrates. VLDL carries most of the triglycerides. 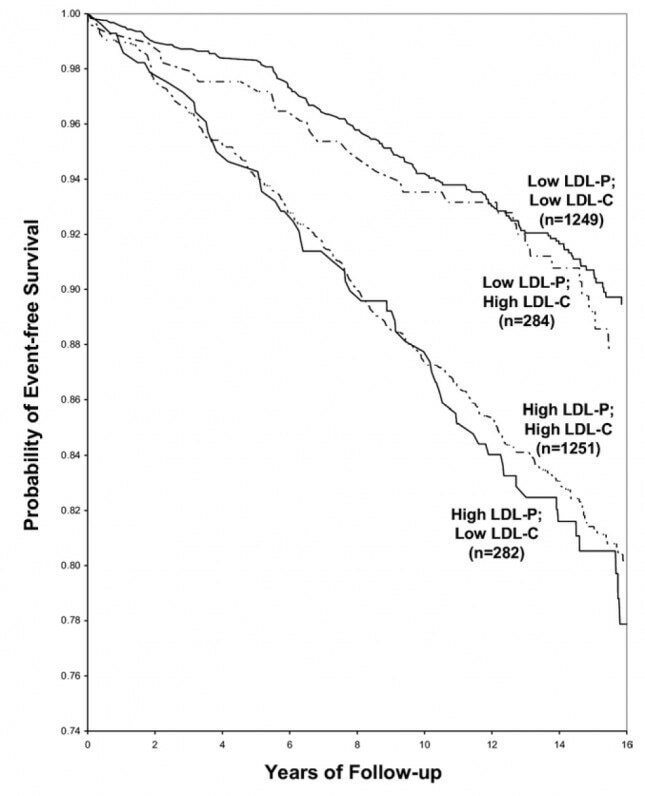 In Gofman's experience, when LDL decreased, VLDL tended to rise disproportionately. And if VLDL was abnormally elevated to begin with, a low-fat, high-carbohydrate diet would certainly increase the patient's risk of heart disease. ​The three last steps requires clinical studies. Ancel Keys stopped at step 2. His Lipid Hypothesis has never been confirmed by clinical studies. Instead have clinical studies proven his hypothesis wrong. Tom Naughton with a lecture on science. Dietary fat, whether saturated or not, is not a cause of obesity, heart disease or any other chronic disease. The problem is the carbohydrates in the diet, especially excess sugars – sucrose and high fructose corn syrup specifically. Through their effects on blood fat abnormalities – elevated Triglycerides and low HDL – refined carbohydrates, sugars and starches are the dietary cause of diabetes and coronary heart disease. Total cholesterol is not a reliable predictor of heart disease risk. The majority of people who have a heart attack have low or normal cholesterol." ​ - Dr. David Diamond: "How bad science and big business created the obesity epidemic" video. 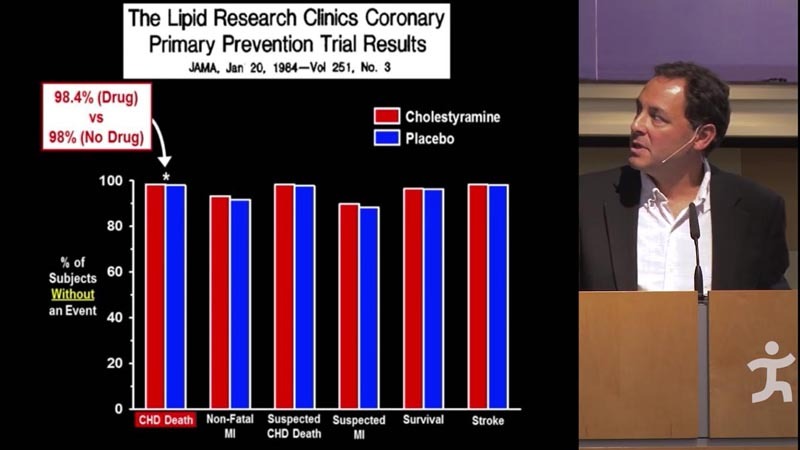 ​​ - Raymond Reiser: "Saturated fat in the diet and serum cholesterol concentration: A critical examination of the literature"
​ - People.com: Dr. George Mann says low cholesterol diets are useless, but the "Heart Mafia" disagrees. - Dr. George Mann: "Coronary heart disease - doing the wrong things." - Journal of Lipid Research: "A tribute to Pete Ahrens". ​ - NCBI: "Special issue dedicated in memory of Dr. Edward H. Ahrens, Jr."
​ - New York Times (December 16, 2000): "Edward Ahrens Cholesterol Researcher, Is Dead at 85". ​ - Wikipedia: John Gofman. - Diet Heart Publishing: "Carbohydrate induced lipemia - John Gofman story". - Tom Naughton: "Big fat lies" video. 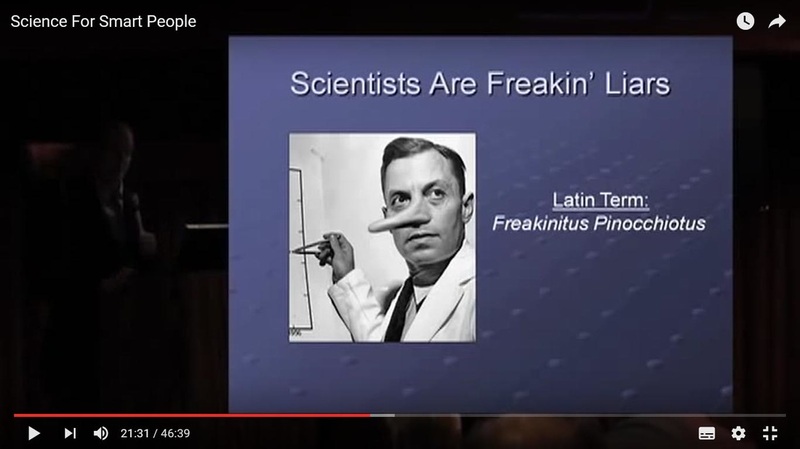 - Tom Naughton: "Science for smart people" video. - Institute of Science in Society: "The ‘Deadly Dangers of Saturated Fat’ & the ‘Superlative Safety of Statins’." 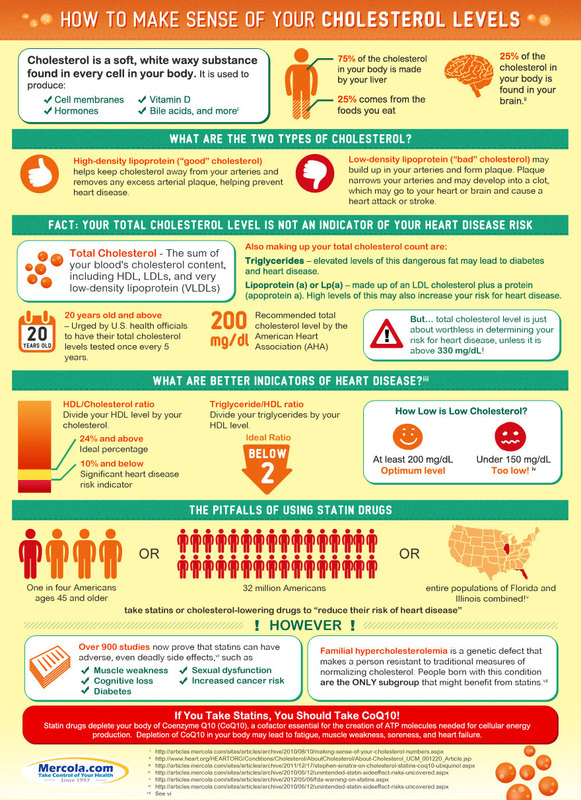 - Food Matters: "The 6 greatest cholesterol myths debunked". Cholesterol is a fat molecule that is essential for normal cell function and hormonal balance. Cholesterol is often a feared term, and we rarely hear about why it is so important to our health. Cholesterol is required for normal cell growth and repair of tissue. Cholesterol is needed to maintain neurotransmitter and brain function, build brain and nerve tissue. It makes us think and remember better. Cholesterol is required for production of steroid hormons, which help control metabolism, immune functions and sexual characteristics. Cholesterol in our skin activates vitamin D from sunlight. Cholesterol is required for absorption of fat-soluble vitamins (A, D, E and K) from food. Cholesterol is required for production of bile acid, which aids digestion of fat. Dr. Stephen Sinatra about cholesterol. Most of our cholesterol is produced in the liver. An adult produces about 1 gram cholesterol each day. Small amounts are made by the lining of the small intestine and individual cells of the body. Some cholesterol comes from food we eat. Major sources of cholesterol are cheese, egg yolks, beef, pork, poultry and shrimp. Human breast milk also contains significant quantities of cholesterol. For many decades has it been believed that consumption of food rich in cholesterol would increase cholesterol levels in our blood. However, the body compensates for absorption of cholesterol by reducing cholesterol synthesis. In the 2015 edition of Dietary Guidelines for Americans did the U.S. Department of Health and Human Services remove the previous limitation on consumption of dietary cholesterol. ​ - Jensen RG. Lipids in Human Milk. Lipids 1999;34:1243-1271. ​ - CNN: "Cholesterol in food not a concern, new report sa​ys." (2015)​. ​ - Food Matters: "The 6 greatest cholesterol myths debunked". Triglycerides are a type of fat (lipid) found in your blood. Triglycerides store unused calories and provide your body with energy, while cholesterol is used to build cells and certain hormones. You need some triglycerides for good health. But high triglycerides might raise your risk of heart disease and may be a sign of metabolic syndrome. When you eat, your body converts any calories it doesn't need to use right away into triglycerides. The triglycerides are stored in your fat cells. Later, hormones release triglycerides for energy between meals. If you regularly eat more calories than you burn, particularly "easy" calories like carbohydrates and fats, you may have high triglycerides (hypertriglyceridemia). Elevated triglycerides can be caused by obesity, physical inactivity, cigarette smoking, excess alcohol consumption and a diet very rich in carbohydrates. "Unfortunately, many experts still believe that the way to treat this problem is with a low-fat diet. What is often overlooked with low-fat diets is that people tend to replace the fat with simple carbohydrates, and these are the primary cause of high triglycerides." - Dr. Joseph Mercola. A high triglyceride level may lead to atherosclerosis, which increases your risk of heart attack and stroke. It is considered that triglyceride level below 150 mg/dl is normal. A level above 500 mg/dl poses a high risk. ​«In my experience, high triglycerides specifically, and elevated cholesterol in general, is typically related to excessive consumption of grains and sugars. A high-fructose, high-grain carb diet contributes to insulin resistance, which will cause your liver to produce more cholesterol and more inflammatory LDL particles, raise your triglycerides, and increase your risk of metabolic syndrome.» - Dr. Joseph Mercola. ​ - WebMD: "High Triglycerides - Topic Overview​." - Mayo Clinic: "Triglycerides: Why do they matter?" ​ - Dr. Mercola: "LDL (bad) cholesterol may not be so bad after all - What you need to know..."
​ - Dr. Mercola: "Carbs are primary cause of high triglycerides." - Alan Watson, Diet Heart Publishing: "Triglycerides - not cholesterol - is the bona fide risk factor for coronary heart disease". Cholesterol: Build cells and hormones. Triglycerides: Provide energy to the cells. ​Chylomicrons: Created in the small intestine and transports lipids (mostly triglycerides) from the small intestine to the cells. Unused lipids are delivered to the liver. Very Low Density Lipoprotein - VLDL: Created in the liver and transports lipids (mostly triglycerides) from the liver to the cells. Intermediate Density Lipoprotein - IDL: Formed when VLDL has released most of it's triglycerides. It can transport unused lipids cells back to the liver, or it is converted to LDL. Low Density Lipoprotein - LDL: Created in the liver and transports lipids (mostly cholesterol) to the cells. There are two subgroups LDL: Large and fluffy (pattern A); and small and dense (pattern B) formed by oxidation. A third variant is Lipoprotein(a), or Lp(a) for short, is which made up of LDL with an additional apoprotein(a) attached to it. High Density Lipoprotein - HDL: Created in the liver and transports excess cholesterol from the cells to the liver, where the cholesterol is recycled or used to produce bile (gall salts). 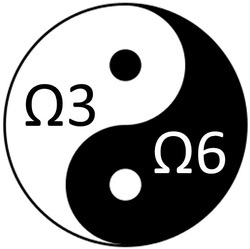 There are two subgroups: HDL2 and HDL3. HDL is often called "good" cholesterol, and LDL is often called "bad" cholesterol. This is an oversimplification. All lipoproteins transport cholesterol, phospholipids and triglycerides, but with different amounts. Simplified drawing showing how lipoproteins transport lipids. - Clinical Methods: The history, physical, and laboratory examinations. 3rd edition. 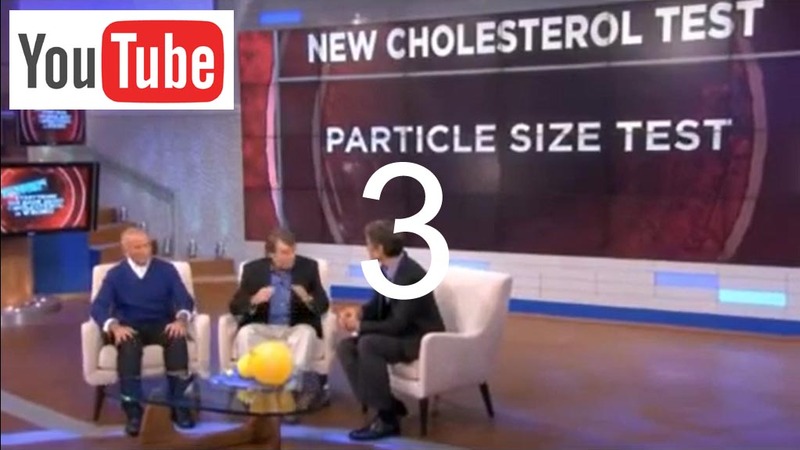 - Doc's opinion: "LDL cholesterol, particle number and particle size made easy​". ​ - University of Washington: "Cholesterol, lipoproteins and the liver". ​ - King's College London: "Lipids and lipoproteins" (first video in a series of six). The only "bad cholesterols" are oxidized LDL and Lipoprotein(a), because they are inked to inflammation inside the artery walls and atherosclerosis. When a LDL reacts with a free radical, it becomes oxidized. It is inflammatory and can therefore cause damage to the walls inside your blood vessels. 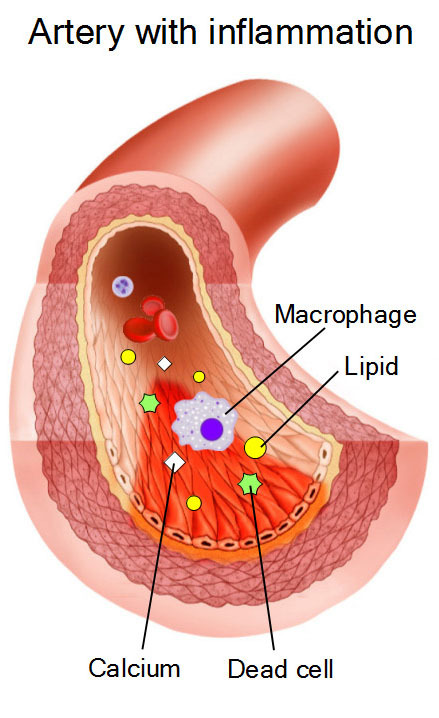 Macrophages are part of the immune system and consider oxidized LDLs to be intruders, engulf them and become foam cells to cover damaged areas inside your blood vessels. This is how atherosclerosis starts to form. ​"Oxidation of lipoproteins is currently considered a key event in the pathogenesis of atherosclerosis." - Ilona Staprans, Xian-Mang Pan, Joseph H. Rapp, Kenneth R. Feingold, University of California. ​"Is the American Heart Association wrong about their recommendation to avoid foods high in cholesterol and to replace saturated fats, like those found in animal foods, with polyunsaturated fats, like those found in vegetable oils? A growing number of experts think so, including a 98-year-old researcher from the University of Illinois who argues that the main cause of heart disease is not dietary cholesterol but rather oxidized cholesterol and fats—especially from too many polyunsaturated vegetable oils and fried foods." - University Health News, March 27, 2015. Formation of oxidized LDL and foam cells. 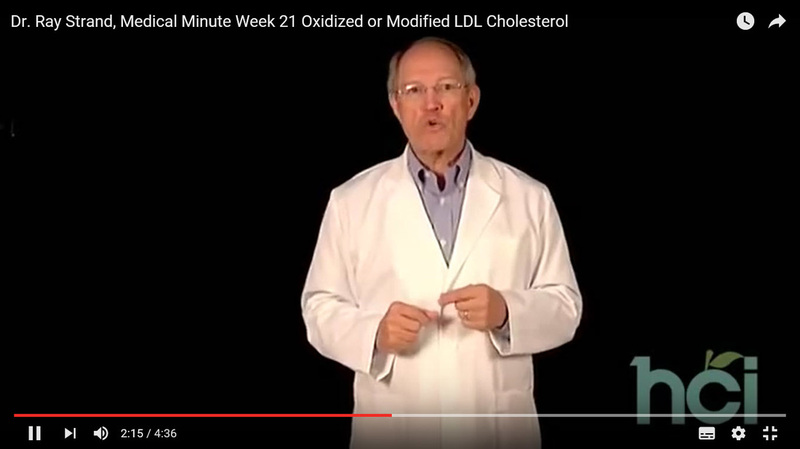 Dr. Roy Strand about oxidized cholesterol. Lipoprotein(a), or Lp(a) for short, is a sticky variant of LDL. It is produced by the liver and attaches itself easily to damaged areas of the walls of our blood vessels and foam cells. Over time can this cause clogging of the blood vessels. Discovery of this lead to the Nobel prize in medicine in 1985. Later did two times Nobel laureate Linus Pauling and his colleague Matthias Rath discover a correlation between elevated Lp(a) levels and vitamin C deficiency. - Staprans, Pan, Rapp, Feingold: Journal of Lipid Research volume 44, 2003: "Oxidized cholesterol in the diet is a source of oxidized lipoproteins in human serum." ​ - University Health News, March 27, 2015: "Oxidized Cholesterol & Vegetable Oils Identified as the Main Cause of Heart Disease". ​ - King's College London: "Reverse cholesterol transport." 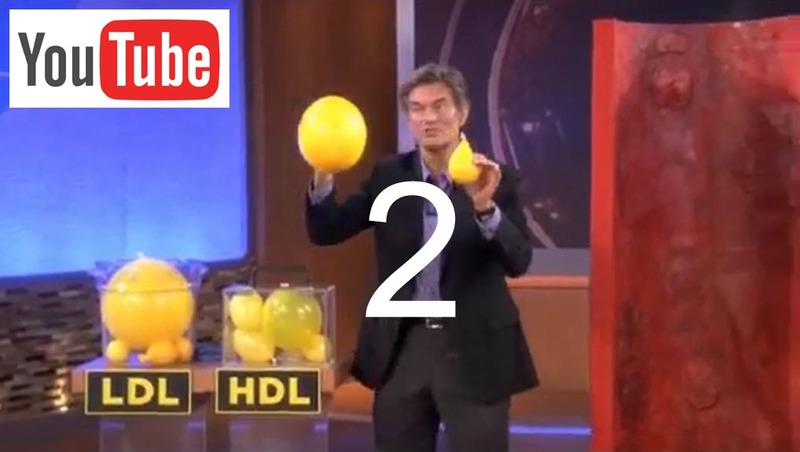 (4th video in the series about lipids and lipoproteins). ​ - Dr. Mercola: "Was Linus Pauling right about vitamin C's curative powers after all?" ​ - Danesh, Collins, Peto: "Lipoprotein(a) and coronary heart disease". ​ - Kamstrup, Tybjærg-Hansen, Steffensen, Nordesgaard; "Genetically elevated lipoprotein(a) and increased risk of myocardial infarction." LDL values are guessed at. LDL and VLDL are measured together, and it is assumed that VLDL counts for 20 % and LDL for 80 % of the total value. 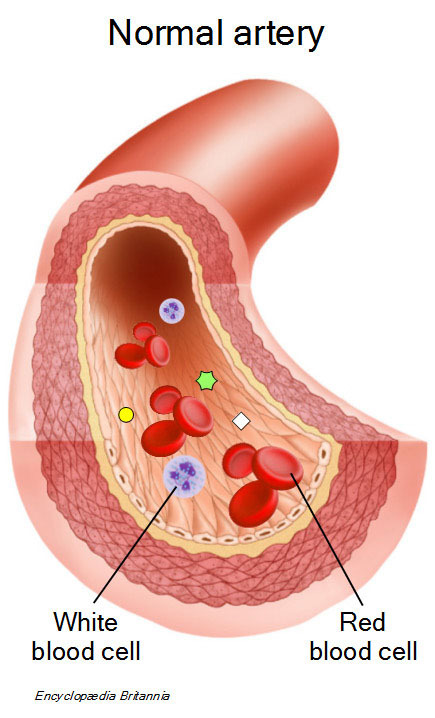 LDL particles carries different fat molecules, and the percentage which are cholesterol and triglycerides is variable. Standard lipid tests do not measure levels of oxidized LDL and Lp(a), which are the risk factors for cardiovascular disease. The Framingham Heart Study has been running continuously since 1948. Initially did they report that high cholesterol is a risk for cardiovascular disease. But as the study progressed did new results emerge. ​In 1971 did Human Pathology publish a report based on data from the Framingham Heart Study. In the report is a graph showing that half of the population who got Coronary Heart Disease (CHD) had low cholesterol, and that half of the population without CHD had high cholesterol. 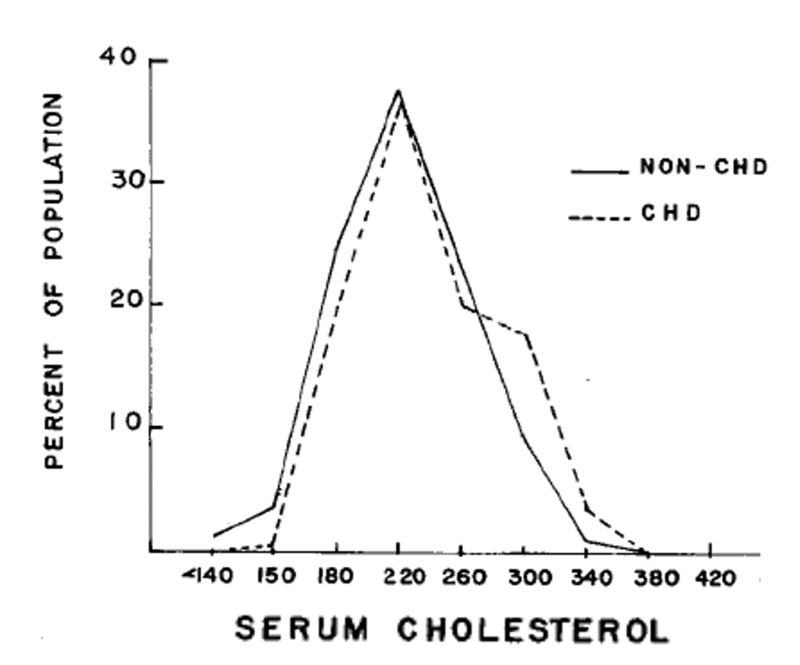 It is evident that cholesterol levels are not correlated with CHD. As mentioned earlier do standard lipid tests LDL only guess LDL cholesterol levels (LDL-C). Despite this do most health care professions still believe that a high level of LDL-C poses a risk for cardiovascular disease. LDL particles (LDL-P) appear in different sizes. In 2007 was it published a study from the Framingham Heart Study comparing cholesterol levels (LDL-C) and LDL particle numbers(LDL-P). The study ran for nearly 16 years, and the participants were divided into four groups with high and low LDL-C and high and low LDL-P respectively. ​Read more about the Framingham Heart Study HERE. ​- NCBI, 2007: ​"LDL Particle Number and Risk of Future Cardiovascular Disease in the Framingham Offspring Study – Implications for LDL Management"
​Total cholesterol between 150 and 330 ml/dl is normal. Triglycerides below 150 ml/dl is good; above 500 is worrisome. The ratio between HDL and total cholesterol: 25 % and more is good; 10 % or less is worrisome. The ratio between triglycerides and HDL: Less than 2 is good. Lp(a): below 30 ml/dl is good; above 75 is worrisome. ​ 1 mmol/l = 38.67 mg/dl for cholesterol. ​ 1 mmol/l = 88.57 mg/dl for triglycerides. In ​2015 did four Japanese researchers, Tomohito Hamazaki, Harumi Okuyama, Yoichi Ogushi and Rokuro Hama, publish an analysis of several cholesterol studies from several countries. The 116 pages long report has a clear conclusion: Cholesterol is a friend, not an enemy. ​Low cholesterol levels may in some cases reduce the risk for heart disease, but there are other health risks connected to low cholesterol levels, and they contribute to higher mortality rates. ​"When examining all causes of death, such as cancer, pneumonia and heart disease, the number of deaths attributable to LDL cholesterol levels exceeding 140 mg/dl is less than people with lower LDL cholesterol levels." - Tomohito Hamazaki, professor at Toyama University's Institute of Natural Medicine. ​"The higher your cholesterol, the longer you will live." - Dr. Stephen Sinatra, cardiologist. ​"If you are a Frenchman, your average cholesterol is between 250 and 275, but you have the lowest coronary disease in western Europe." - Dr. Stephen Sinatra. "When women reach menopause, their cholesterol figures rise sharply, yet do not affect the arteriosclerosis process or development of heart diseases. At the very least, cholesterol criteria is not necessary for women," - Hiroyuki Tanaka, director of Niko Clinic in Takeo, Saga Prefecture. ​When the participants had a normal diet, their triglyceride level was around 400 mg/dl, and their cholesterol level was around 275 mg/dl. When sugar was removed from their diet did their triglyceride level sink to 150 mg/dl, and their cholesterol level was reduced to around 200 mg/dl. When extra sugar was added to their diet, did their triglycerides and cholesterol levels increase dramatically. 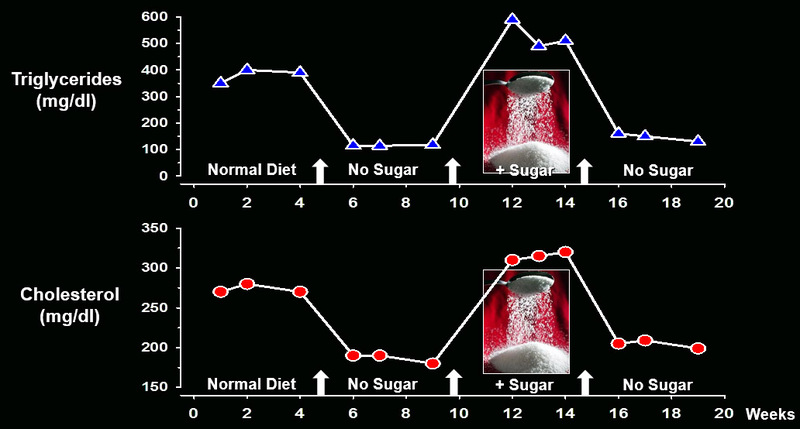 When sugar was removed from their diet again, did the levels return to previous "no sugar" value. Annals of Internal Medicine: "Dietary sugar in the production of hyperglyceridemia". - The Whole Journey: "Balancing hormones by way of increasing cholesterol." ​ - Michael McEvoy: "Cholesterol: Your body is incapable of making hormones without it." - Masanori Tonegawa​: "High levels of cholesterol said better for longevity." - Hamazaki/Okuyama/Ogushi/Hama: "Towards a paradigm shift in cholesterol treatment. 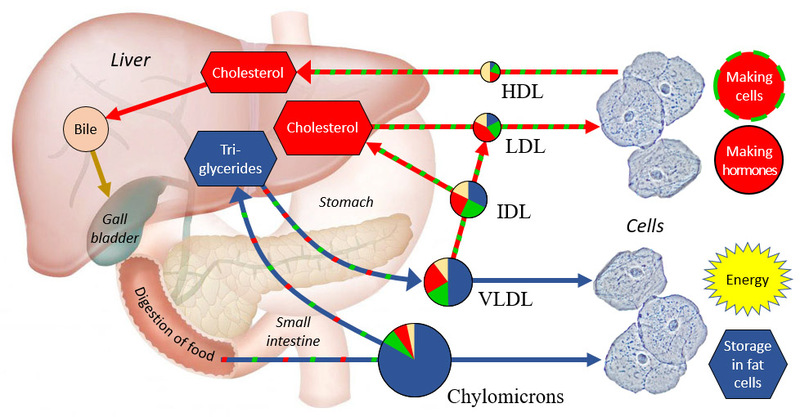 A re-examination of the cholesterol issue in Japan". ​ - Healthline: "Can my cholesterol be too low?" 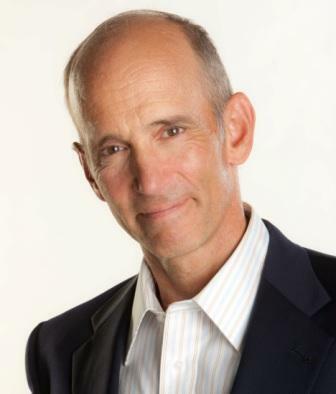 ​ - Dr. Joseph Mercola: "Why low cholesterol is NOT good for you." - Dr. Stephen Sinatra: "The higher your cholesterol, the longer you will live." ​ - New York Times: "Study Questions Fat and Heart Disease Link". ​ - Williams, Superko, Haskell, Alderman, Blanche, Holl and Krauss: "Smallest LDL particles are most strongly related to coronary disease progression in men​". ​ - NCBI: Lipid conversion factors. ​ - Dr. Joseph Mercola: "How to make sense of your cholesterol levels." ​ - Annals of Internal Medicine: "Dietary sugar in the production of hyperglyceridemia". Inflammation is necessary for the body to heal itself, for example as a immune response to injury or infection. But chronic inflammation is dangerous to our health. Refined carbohydrates, and especially sugar. Excessive sugar consumption causes rapid spikes in insulin levels, which is highly inflammatory. Synthetic sweeteners. Research indicates that some of them may increase insulin levels. Hydrogenated fats and trans fats. Too much omega 6 compared to omega 3. Their intake should be balanced. Gluten, which is acid-forming and inflammatory in the body. Alcohol. It is best eliminated or used in moderation. Our diet should balance inflammatory food with anti-inflammatory foods. - Live Science: "Inflammation: Causes, symptoms & anti-inflammatory diet". ​ - Harvard Health Publications: "What you eat can fuel or cool inflammation, a key driver of heart disease, diabetes, and other chronic conditions". ​ - Dr. Marcelle Pick: "Causes of inflammation". ​ - Arthritis Foundation: "8 food ingredients that can cause inflammation". - Liang, Steinbach, Maier, Pfeiffer: "The effect of acesulfame K on insulin secretion in the rat (studies in vivo)". Our blood vessels are made of collagen, which is produced with help from vitamin C. Damages to the arterial walls, such as cracks or inflammation, are repaired with new collagen. But when we have a deficiency in vitamin C, the production of collagen reduced, and the arterial walls will not be repaired properly. This may result in scurvy. The immune system acts to prevent this dangerous disease. ​The repair work is mostly carried out by macrophages (white blood cells belonging to the immune system). They engulf oxidized LDL and Lp(a), and in the process to the macrophages transform themselves to foam cells and cover the damaged areas. Calcium and debris from dead cells are mixed with the foam cells. Lp(a) is sticky and attach to the plaque layer by layer. After several years can the arteries get clogged. «Blaming cholesterol for heart disease is like blaming the firemen for the fire.» - Dr. Jonny Bowden, nutrition expert. ​"The cholesterol found in arterial plaque is oxidized, damaged cholesterol, which your immune system recognizes as bacteria. In response, your immune system sends out macrophages to attack it, which creates inflammation inside your arterial wall. The culprit of heart disease is not just any cholesterol, but the oxidized kind—which is introduced into your system every time you consume foods cooked in vegetable oils." - Dr. Robert Rowen. "When we are under constant stress our bodies produce more cortisol which then breaks down vitamin C. If we have a long-term vitamin C deficiency, it weakens our arterial walls which the body then attempts to “patch up” with available cholesterol from the bloodstream. This creates atherosclerotic plaque to protect the arterial walls which is often treated with statins. Sadly this approach does nothing to address the root cause of the problem which could most likely be resolved with proper diet, lifestyle changes, and natural interventions.​" - Dr. Jeannie Oliver, Sophia Health Institute (2015). Dr. Jonny Bowden talks about the great cholesterol myth and how to keep your heart healthy and happy. ​ - Singh, Mengi, Yan-Jun Xu, Arneja, Dhalla: "Pathogenesis of atherosclerosis: A multifactorial process" (2002). - Yuri V. Bobryshev: "Monocyte recruitment and foam cell formation in atherosclerosis" (2005). - Dr. Mercola: Interview with Dr. Robert Owen on cholesterol. 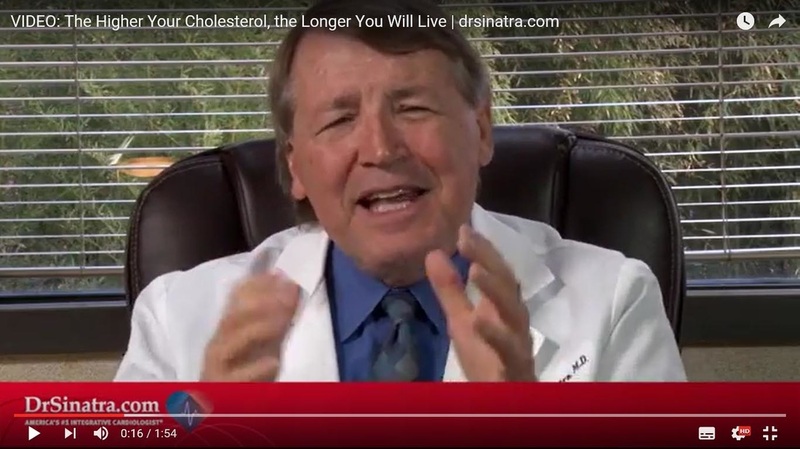 ​ - Dr. Jonny Bowden: "The great cholesterol myth" video. ​ - Dr. Jeannie Oliver, Sophia Health Institute: "High cholesterol foods - friend or foe?". ​Lowering LDL cholesterol levels. This may affect several functions, for example the ability to produce hormones. Reducing inflammation (statins are antioxidants). Depletion of Coenzyme Q10 (CoQ10) and 'heme A', which in turn impair muscle function in the heart and blood vessels. Inhibition of synthesis of vitamin K2, the cofactor for matrix Gla-protein activation, which protects arteries from calcification. Inhibition of biosynthesis of selenium containing proteins, one of which is glutathione peroxidase serving to suppress peroxidative stress. An impairment of selenoprotein biosynthesis may be a factor in congestive heart failure. "Thus, the epidemic of heart failure and atherosclerosis that plagues the modern world may paradoxically be aggravated by the pervasive use of statin drugs. We propose that current statin treatment guidelines be critically reevaluated." - Okuyama, Langsjøen, Hamazaki, Ogushi, Hama, Kobayashi, Uchino. «Statins lower cholesterol levels, but cholesterol is not the cause for heart disease.» - Dr. Stephen Sinatra, cardiologist. Dr. Stephen Sinatra says that he only give statins to middle aged men who have experienced cardiac problems, because statins make the blood thinner. He does this regardless of the patients' cholesterol level. Coenzyme Q10 is essential for generation of energy and is also important for the heart and the immune system. People taking statin drugs must therefore take Coenzyme Q10 as a supplement. Sinatra says that women and young people must never take statins, because statins have tremendous side effects. Such side effects have been grossly under-reported. "Our brain is fully developed at an age of 25. 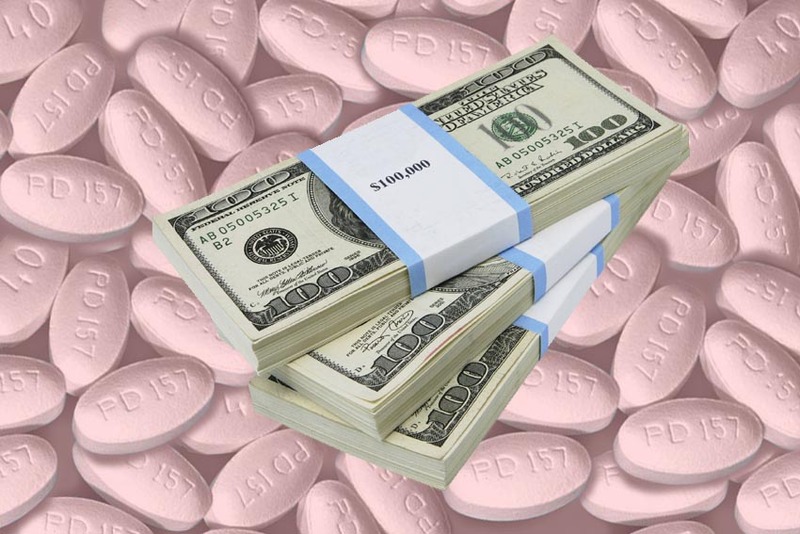 If your doctor wants your kid to take statin drugs, I beg you: Find another doctor." ​- Dr. Jonny Bowden. Dr. Stephen Sinatra: The pros and cons of statin drugs. ​ - Okuyama, Langsjøen, Hamazaki, Ogushi, Hama, Kobayashi, Uchino: "Statins stimulate atherosclerosis and heart failure: pharmacological mechanisms". - Food Matters: "Cholesterol: The good, the bad and the ugly". ​ - Dr. Joseph Mercola: "Studies reveals statins not very effective or safe". ​ - Science Daily: "Statins' adverse effects documented" (2009). - Saremi, Bahn, Reaven, VADT investigaros: "Progression of vascular calcification is increased with statin use in the Veterans Affairs Diabetes Trial (VADT)". - Dr. Jonny Bowden: "The great cholesterol myth" video. 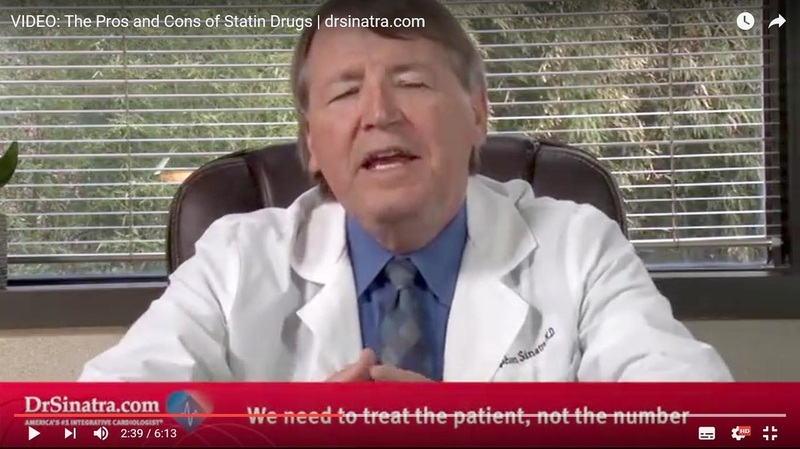 ​- Dr. Stephen Sinatra: "The pros and cons of statin drugs" video. When neurologist David Diamond was diagnosed with high cholesterol levels, high triglycerides and overweight, his doctor urged him to take medical treatment. Instead, Diamond went to the library and studied heart disease, triglycerides and blood lipids. "What I learned is pretty ugly. [...] I learned that there is fraud, conflict of interest, and overall incompetence." - David Diamond, Ph.D.
Dr. David Diamond: "Demonization and Deception in Cholesterol Research." In 2016 is it estimated that one in four Americans aged 45 and older on statins or other cholesterol-lowering drugs. Most people using statin drugs don't need them. And it is getting worse, because in 2015 did the American Heart Association declare that "a 2014 study estimated that 8.2 million additional U.S. adults would be eligible for statin treatment compared with previous recommendations." The desirable levels are less than 100 mg/dl for LDL and less than 130 mg/dl for non-high-density lipoprotein (total cholesterol minus HDL). "Elevated level of cholesterol carried by ... non-high-density lipoprotein and low-density lipoprotein (LDL) ... is a root cause of atherosclerosis." "Statin treatment is the primary modality for reducing ACSVD [atherosclerosis cardiovascular disease]." "A very important point regarding the treatment goals recommended by the NLA Expert Panel is that the goal is less than the stated value. Simply achieving a non-HDL-C or LDL-C level equal to the threshold value of the treatment goal is not adequate or desirable, and, in some cases, the clinician may opt to treat values well below the thresholds." ​This recommendation disregards scientific evidence showing that heart disease is caused by inflammation. It also stands against many studies showing that there is no correlation between LDL levels and heart disease, and that people with low cholesterol levels have a higher all-cause mortality than people with high cholesterol levels. See for example the Framingham Heart Study and studies mentioned in the Japanese report (Hamazaki, Okuyama, Ogushi and Hama). ​So why does NLA recommend to lower already healthy cholesterol levels with statin drugs? The answer is conflict of interest, and for lack of a better word: Greed. ​In 28th March 2011 did New York Times report that a study "published in the Archives of Internal Medicine, found that conflicts of interest were reported by 56 percent of 498 people who helped write 17 guidelines for the American Heart Association and American College of Cardiology, from 2003 through 2008. Of people who led those groups, an even higher rate — 81 percent — had personal financial interests in companies affected by their guidelines, the study found." "High cholesterol levels are recognized as a major cause of atherosclerosis. However, for more than half a century some have challenged this notion. But which side is correct, and why can’t we come to a definitive conclusion after all this time and with more and more scientific data available? We believe the answer is very simple: for the side defending this so-called cholesterol theory, the amount of money at stake is too much to lose the fight. The issue of cholesterol is one of the biggest issues in medicine where the law of economy governs." - Hamazaki, Okuyama, Ogushi and Hama (2015). 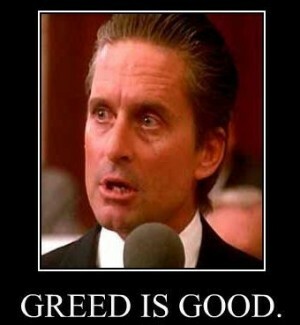 In the 1987 movie "Wall Street" was Michael Douglas' character Gordon Gekko the perfect example of a ruthless player who looked for profit and nothing else. 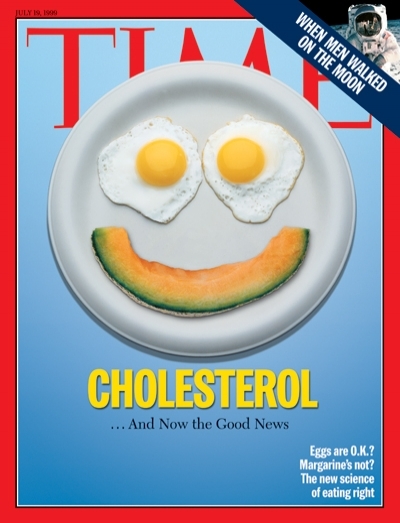 - ​Fast News: "Cholesterol the good the bad and the ugly". ​ - American Heart Association: Homepage. - Journal of Clinical Lipidology: "National Lipid Association recommendations for patient-centered management of dyslipidemia." (2015). ​ - New York Times: "Study Finds Conflicts Among Panels’ Doctors" (2011). - Dr. Paul J. Rosch, Institute of Science in Society: "Statins: flawed studies, false advertising and lack of transparency" (2015). ​ - Hamazaki, Okuyama, Ogushi and Hama: "Towards a paradigm shift in cholesterol treatment. A re-examination of the cholesterol issue in Japan". ​Arteries are blood vessels that carry oxygen-rich blood to your heart and other parts of your body. 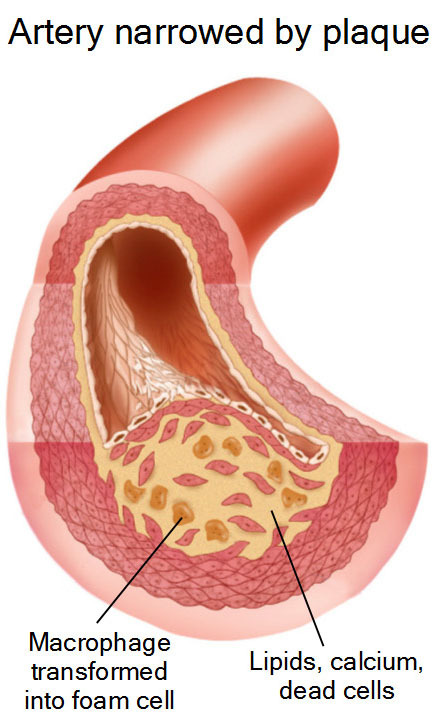 Atherosclerosis​ is a disease in which plaque builds up inside your arteries. Coronary Arteries are arteries that that carry oxygen-rich blood to your heart muscles. ​Coronary Artery Disease (CAD) is a group of diseases the includes angina, myocardial infarct and sudden cardiac death. ​Coronary Heart Disease (CHD) occurs when plaque builds up in the coronary arteries. ​Heart Disease is a term often used interchangeably with the term "cardiovascular disease" but it also relates to conditions that affect your heart's muscle, valves or rhythm. Ischemic Heart Disease (IHD) is the same as Coronary Artery Disease (CAD). ​Stroke occurs when the blood supply to a part of the brain is cut off. ​ - Dr. Jonny Bowden and Dr. Stephen Sinatra: "The great cholesterol myth", ISBN-13: 978-1-59233-521-3. - Dr. Barbara H. Roberts: "The truth about statins", ISBN 978-1-4516-5639-8. ​ - Dr. Duane Graveline: "The statin damage crisis", ISBN 978-0983383550. ​ - Dr. Malcolm Kendrick: "The great cholesterol con", ISBN 978-1-84454-610-7. - Dr. Fred Kummerow: "Cholesterol is not the culprit", ISBN 978-0-9833835-6-7. 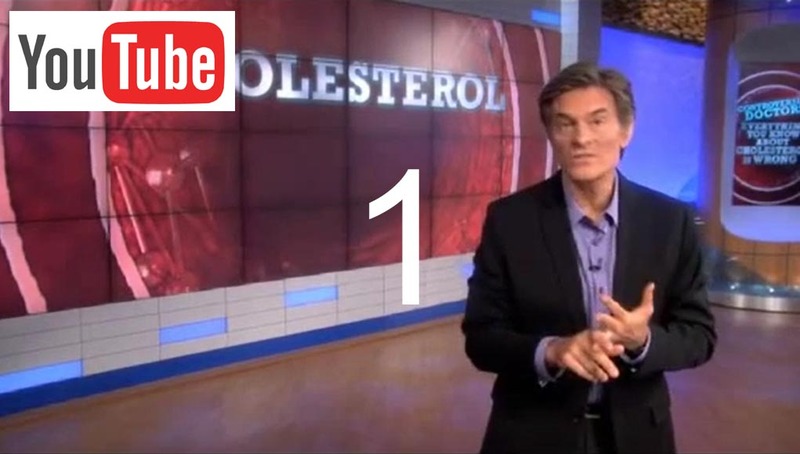 ​ - Dr. Uffe Ravnskov: "The cholesterol myths". - Dr. Steven Masley and Dr. Jonny Bowden: "Smart fat", ISBN 978-0-06-239229-9. ​ - Dr. Robert Lustig: "Fat chance". ​ - Nina Teicholz: "The big fat surprise", ISBN 978-1-4516-2442-7. 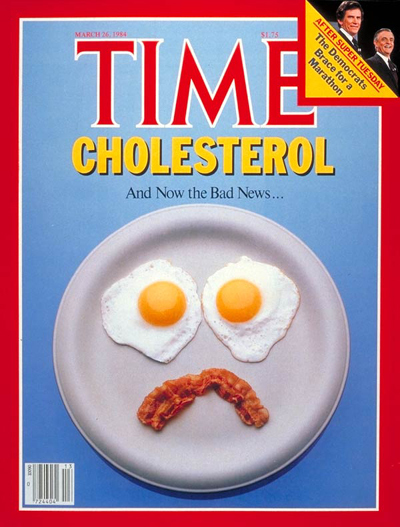 ​ - Sarah Givens: "The great cholesterol hoax".